Depression in children and teens is on the rise, a heartbreaking trend that cuts across all demographics—rich and poor, rural and urban. According to Mental Health America, a staggering one in five young people suffers from depression, which can lead to academic failure, substance abuse, and suicide. While depression is sometimes caused by one traumatic event, it’s more common to have multiple factors converge to create the condition. 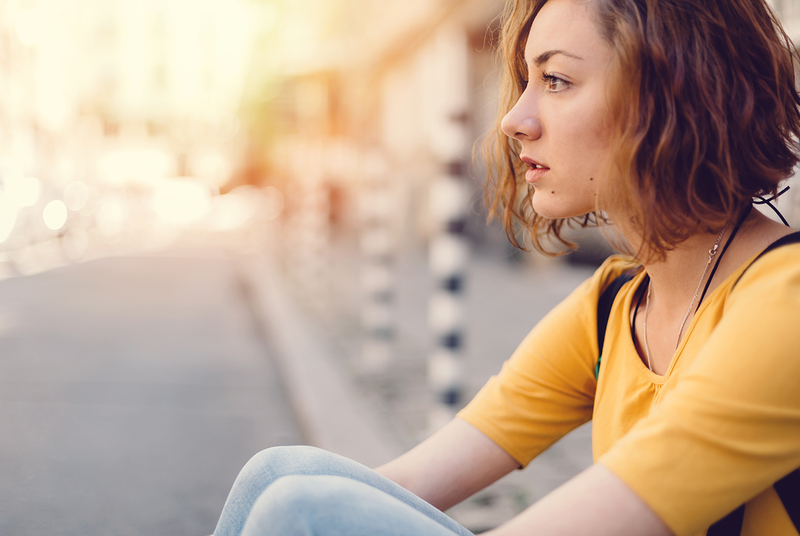 Depression is often mistaken for normal teen angst; caring and well-meaning caregivers often miss the warning signs, especially in kids who appear to be thriving. Sam didn’t seem like the kind of kid who could be depressed. On the outside, everything about her life appeared wonderful, almost idyllic. She was raised in a wealthy suburb of Boston by a supportive family with a great circle of friends, and was known as a hardworking student and talented athlete. Athletics were more than extracurricular activities for Sam—they were a large part of her identity. She was a star athlete, playing three sports in a competitive school. But in her sophomore year, her life began to unravel. Sam suffered a series of injuries that prevented her from participating in sports. The void left by the activities that once gave her a sense of belonging set off a chain reaction that would change the course of her life. Sam began struggling with her personal identity and started feeling that there was something about her that was different from everyone else. Being an athlete offered Sam a strong sense of self; without that in her life, the feelings of isolation were only magnified. She began spiraling into depression and had recurring thoughts about hurting herself. No one around her knew it, but Sam was dangerously close to joining the growing number of teens who see suicide as their only escape from their depression. According to a recent report from the Centers for Disease Control and Prevention, the suicide rate among teens is rising swiftly and suicide is the second-leading cause of death among youths ages 10 to 19. Sam was going through personal turmoil on the inside while trying to maintain the appearance that everything was okay. Normally social and outgoing, she began to isolate herself for weeks at a time. She would make plans with friends and then cancel, rarely leaving the security of her room. Her nights became sleepless; her days were spent walking around like a “zombie,” unable to function, making her mental state worse. Eventually, her internal symptoms found a way to come out. Sam began cutting herself as a way to relieve the constant suicidal thoughts that were taking over. Sam was able to open the door to her recovery by confiding in a friend about what was going on. Fortunately for Sam, her friend urged her to tell her mother. For her mom, the news of Sam’s self-harming behaviors and emotional struggle came out of nowhere. In retrospect, her mom realized that Sam’s behaviors clearly demonstrated that her daughter had been suffering from depression. After learning what was going on, her mother called Sam’s pediatrician, who encouraged her to take Sam to the emergency room. After that first visit to the ER, Sam experienced multiple hospitalizations for mental health treatment, but continued to struggle emotionally. Finally, she was referred to the McLean-Franciscan Child and Adolescent Inpatient Mental Health Program for crisis stabilization, assessment, and treatment. During her six-week hospitalization, Franciscan Children’s clinicians helped Sam learn how to understand and be mindful of her feelings. She was taught how to use simple coping mechanisms to help manage her thoughts. By taking the time to be introspective, Sam began to uncover the roots of her feelings and discover different ways to cope. By the time Sam was ready to transition home, she had a new confidence in herself that helped her identify as the strong person she is today. Transitioning back to day-to-day life after her hospital stay wasn’t easy. 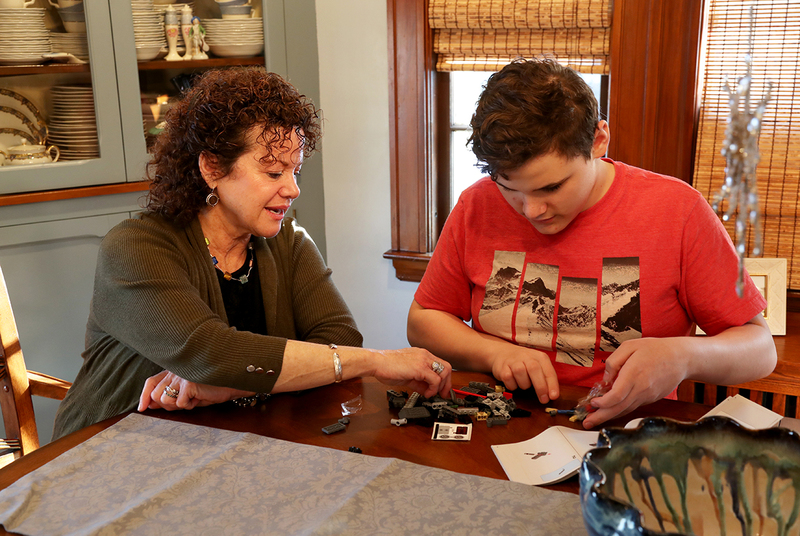 Adapting to new routines was challenging for both Sam and her family as they worked together to integrate the coping skills she had learned. To ease her transition back into her community, the case managers at Franciscan Children’s worked in coordination with Sam’s family and school to place her in a day program where she continued to receive the treatment and support she needed to be successful while living at home. Her recovery wasn’t a linear process, but a series of cyclical improvements. Today, Sam is a happy and healthy college student at a small New England college. Majoring in psychology, Sam plans to get her master’s degree in social work so that she can help other kids successfully navigate the challenges of mental illness the way she was helped at Franciscan Children’s. Now that she’s on the other side of her journey, Sam has learned invaluable lessons about getting better. Her greatest pieces of advice for parents navigating a child’s mental health struggle are to let your child know that you are there for them no matter what and that they can ask you for whatever they need. Reassure them that you will get through this together. Start conversations, let them talk, and just listen. 1. You are not alone. There are many more people than you can imagine who have been down the same road and are now living healthy and happy lives. 2. Being strong isn’t determined by being able to help yourself, but in being able to ask for help from people you feel you can trust – like siblings, parents, coaches, school nurses, teachers, doctors, and friends. 3. The path to recovery is not always smooth or direct and will take time. 4. Your feelings are real; don’t let anyone tell you they aren’t. Just as physical ailments need medical attention, so do mental health illnesses. Even if you can’t see what’s hurting you, it doesn’t mean that something isn’t wrong. 5. This is your recovery and you only have to share what you feel comfortable sharing with those around you. Your friends are there to listen, but it isn’t their job to provide treatment. 6. Give your family time to process the news about what you’re going through. You’ve been living with it for months or years, but they may have just learned about it. How your family reacts isn’t a reflection of how they feel about you. Your parents won’t have all the answers or even know what to say right away – give them time. 7. It’s important to realize that some days will be better than others. You can learn to recognize when you’re just having a bad day and when you’re truly spiraling downward. Sam’s path through depression and her evolution into a healthy, emotionally secure adult wasn’t luck – it took determination and support. Thanks to her family, she was able to find the right place to heal at the right time. Surrounded by the best professionals, Sam got the help and guidance she needed to get through her most difficult time. The hardest step in the recovery journey can be the first one. If your child or adolescent is suffering from depression or if you have a family member who is experiencing any warning signs, take that first step and ask for help today. Franciscan Children’s, in partnership with McLean Hospital, is the premier provider of pediatric mental health care to children and adolescents experiencing social, emotional, or mental health challenges. The Child and Adolescent Inpatient Mental Health Program at Franciscan Children’s is a place for children in mental health crisis, offering expert crisis stabilization, assessment, and treatment to provide kids with the care and tools they need, so they can reach their fullest potential and live their best life. If you think your child might be displaying signs of a mental health problem, please call 617-779-1566 to be connected with the Franciscan Children’s Mental Health Resource Line. 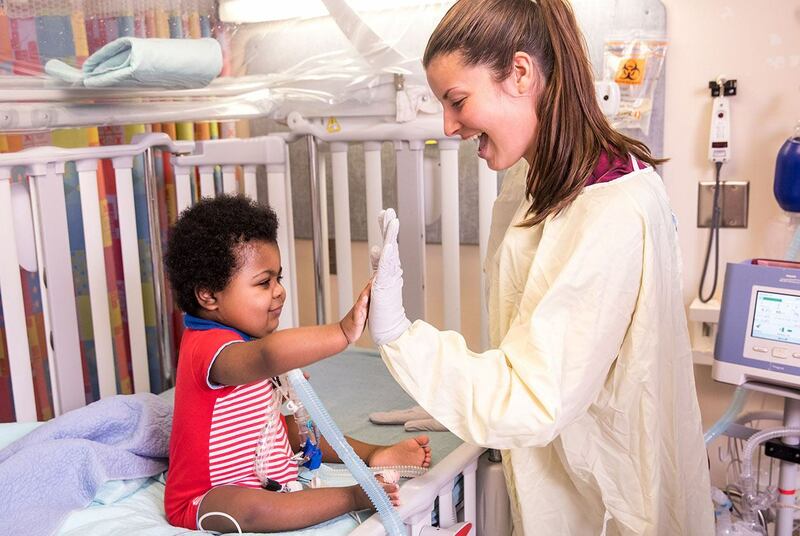 For more information or to learn more about the programs Franciscan Children’s has to offer, please call 617-254-3800 or visit franciscanchildrens.org.